Find Out Why Karate America is Ranked the #1 School in the US! and Through Out the Florida Areas! Our students choose to train here at Karate America for numerous amounts of reasons, and each comes to us with varying degrees of ability. Taekwondo is known around the world as one of the most powerful forms of martial arts with its dynamic kicking and hand techniques, but we promise you that your child can easily learn at their own pace and ability level so they reach their own personal goals. 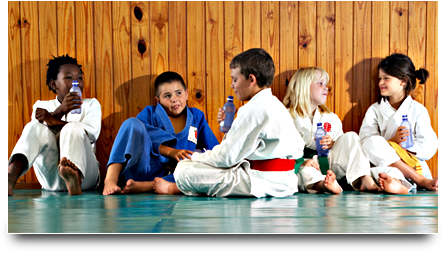 With Karate America having over 30 schools in the state of Florida, we promise you that we will do everything and anything to make sure your child is satisfied and happy with our training programs. We strongly believe in our students’ happiness and we want to watch them grow into that person we know they can be. Self-confidence and self-esteem go a long way and with our help we will make sure your child is gaining such qualities. We take great pride in the fact that we have over 10,000 active members throughout our many Florida Karate America Schools. We believe that we are able to continue to successfully grow because our students realize that our mission is to teach self-defense while also fostering the personal development of each and every Karate America student. We offer programs for adults and children, each fostering the development of integrity, self-control, confidence, perseverance, respect, loyalty and self-esteem. With over 30 schools in Florida we guarantee you that you can find one of our Karate America schools near you! If you live in the area of Jacksonville, Gainesville, Orange Park, St. Augustine, South Florida, Miami, Coral Springs, Ft. Lauderdale, Hialeah, West Palm Beach, Pembroke Pines, Weston, Wellington, Plantation, Cooper City, or Miramar then you can have your child come train with us.